Diamond Gloves is based in Southern California. We are committed to provide safety and protection solution with our innovative disposable gloves as the necessity for most of the industrial and medical field nowadays. Because of our dedication in providing the best customer satisfaction, we are always in the initiation to maintain the quality consistency of our gloves. Diamond Gloves is one of the fastest growing disposable gloves companies in the United States. 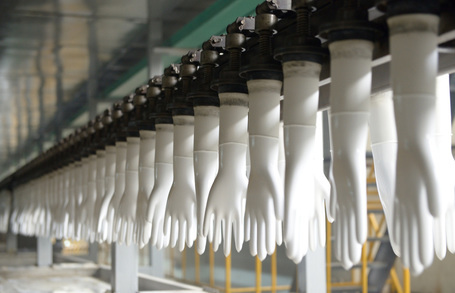 Our company has embarked on rapid capacity expansion and will also be balancing its capacity mix of all different kinds of gloves depending on market changes. We specialize in disposable gloves and supply medical grade, FDA approved Nitrile, Latex, and Vinyl examination gloves. Our products are scientifically proven and tested. Copyright © 2019 Diamond Gloves Inc.